Yes, we know: team building exercises, as well-intentioned as they are, have garnered a bit of a reputation. Suggest them and you may hear the same chorus of groans that greet a ‘dad’ joke. It doesn’t have to be that way. There are team building activities that are actually fun and surprisingly effective at building camaraderie. Why is it so important for teams to bond? When employees know each other on personal, as well as professional, levels, they feel more accountable for their own contributions and more invested in everyone’s success. At Engagement Multiplier, we also think that when you feel comfortable being yourself in and out of the office, you also bring more of yourself to your work in a really positive way. Fun fact: Did you know bonding as a team releases oxytocin in the brain? The same chemical responsible for the feeling you get snuggling a warm puppy. Oxytocin also allows us to determine whom we trust, according to Neuroeconomist Paul Zak. In a recent Forbes article, contributor Yosh Beier notes a compelling correlation between trust and high-performance in teams. Where are we going with the team-building-oxytocin-trust connection? Straight to trust falls of course! Kidding. But practicing activities that contribute to trust and bonding? That’s what team-building is all about. Here are our favorites. This is a favorite of our Founder and CEO Stefan Wissenbach! We’ve done this a couple times and it’s been a fun, funny eye-opener – because we think we know our coworkers really well. It’s the kind of exercise that makes you want to get to know people better, to dig into their stories. Everyone in the group comes up with two truths and one lie about themselves. The key is to make sure the lie is realistic enough to not stand out. Then have each person read their statements out loud, and the group votes on which is the lie. An alternate version of this game is to have everyone anonymously submit an unusual fact about themselves. 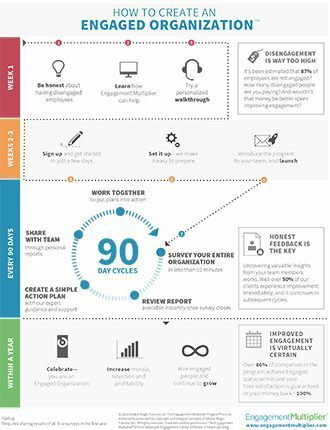 One person collects the facts into one document and gives it to the team. Each person has to guess which facts belong to which person. Whoever gets the most right wins a prize. If you use Engagement Multiplier, this a great use of Suggestion Box. 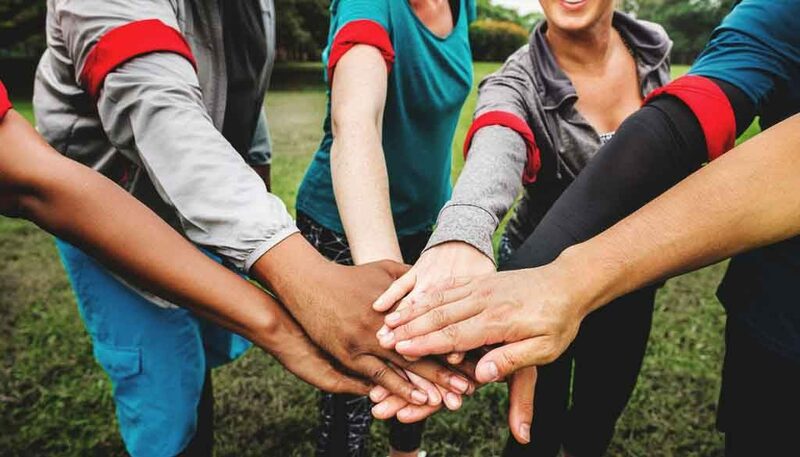 It’s likely that one of your coworkers or employees has a cause that’s important to them, which is a great place to start when looking for a community service project, because you not only get to support a good cause that aligns with your company’s values, you also get to enrich the relationships between your team members. It’s a beautiful way to give back and give to each other. And that 5K ended with a free beer, which isn’t bad either! In our EM Book Club, we read a lot of books about personal and professional growth, because those topics are extremely pertinent to what we do. Our ‘book club’ is part of our regular meetings, and we each come prepared with 3 key personal and professional takeaways from what we’ve read. But your book club doesn’t have to be about work or personal development. It could be about anything. Talking about books is a great way to build communication, discover common interests and navigate different perceptions. We haven’t done this one yet… and some of us are a little claustrophobic. But, exercises that require participants to overcome a challenge together are very effective at building trust and communication skills. Escape rooms are trendy and exciting, so they’re sure to get an enthusiastic response (at least from those unbothered by enclosed spaces). The challenges are really exciting for competitive types – but it’s not the kind of competition where you’re competing against each other. Winners are the ones who can think creatively and work together, analyzing and using each others’ strengths the whole time. The challenges require players to communicate and compromise, which means they’re also great exercises in dealing with conflict. You learn a lot about how people handle themselves in stressful situations. Most escape rooms offer corporate and group rates – and many are on Groupon! Do you know how to build a paper plane that can fly really, really far? Sure you do! So does your neighbor. In fact, everyone thinks they can build the best paper plane… which is why this is such a good exercise to build collaboration and compromise skills. Teams of up to 4 people get a piece of cardstock to construct a paper plane. You can allow them time to research design options, or rely on their ingenuity, but the goal is to construct a plane that will fly the farthest. The team whose plane flies farthest wins. If you do include research and development time, this exercise goes from team-building to process training. Essentially, if you have a good idea, research it, try it out, and then bring it to the team! This exercise forces each participant to try to communicate to another person in the way that makes sense to that person. An essential communication skill that’s remarkably difficult to master! One person, usually the manager, writes a list of well-known pairs of things, like salt and pepper, peanut butter and jelly, day and night, yin and yang, etc. Separate the pairs and write one of them on its own separate sheet of paper. Without letting participants see what’s on their papers, tape one paper to the back of each person. Then, have everyone walk around asking yes or no questions to find out what word they have taped to their backs. Once they figure out their word, their mission is to find their other pair. Then the two pairs will sit down and learn 3-5 interesting facts about each other. Finally, have the pairs introduce their partners and the interesting facts. Board games and card games have been bringing people together for centuries. Set the mood with free snacks or pizza, because if board games aren’t enough of an inducement to participate, free pizza will be! Low-stakes games like Apples to Apples and Life encourage easy communication. Pictionary and Dixit play to the strengths of creatives. Monopoly or Settlers of Catan are ideal for strategists. MacGyver-like problem solving skills are what you need for Bucket of Doom, a game where players have to figure out how to survive outlandish situations using a deck of item cards. Hone those presentation skills with Superfight – a game about beating your friends in a super-powered fight, each player has a set of characters, powers and weaknesses, and has to argue why their combination should win. Snake Oil is practically designed for marketing teams. You have to give your best sales pitch of a ridiculous product to an equally silly customer, like selling a meat helmet to a caveman. What are your favorite team-building activities? 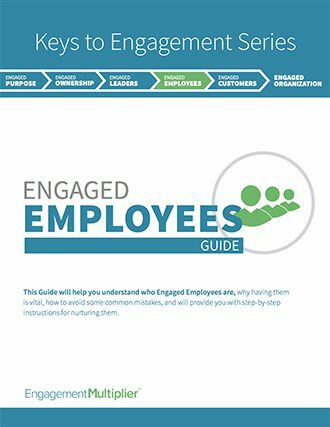 Improve employee engagement and retention. Propose a topic for our blog! Tell us what you'd like to hear more about. Head to our Contact Us page. Our Quarterly Multiplier newsletter includes inspiring stories, features and tips to improve engagement.